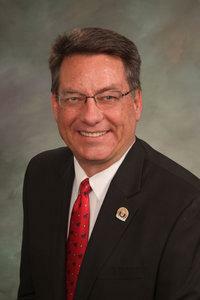 Jerry Sonnenberg was elected to the Colorado State Senate in 2014, representing Senate District 1. He supports studying how to profit from transferring public lands, and opposes efforts to curb methane pollution. He once claimed that the Obama Administration’s plan to protect sage grouse habitat would be harmful to sage grouse. Sonnenberg has also sponsored legislation with impacts on public lands management in Colorado. State Senator Jerry Sonnenberg Has Sponsored Legislation With Impacts on Public Lands Management in Colorado. Since 2014, Jerry Sonneberg has taken at least $200 from Colorado Oil and Gas Association. Jerry Sonnenberg took $200 from Colorado Oil and Gas Association in October 2014.